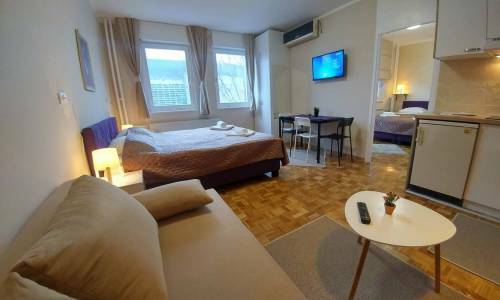 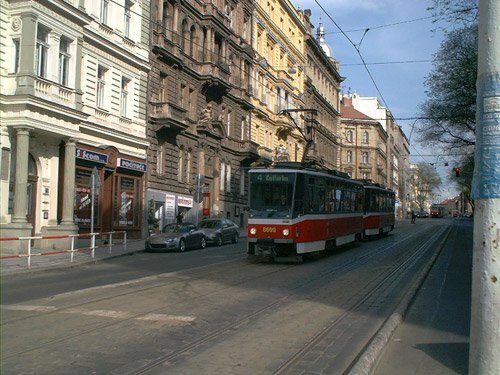 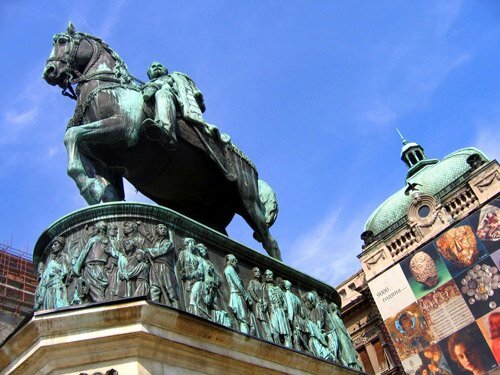 In the area of New Belgrade, in Boulevard Nikola Tesla, right next to Hotel Jugoslavija and the Zemun quay, you can find the comfortable two room apartment Diner. 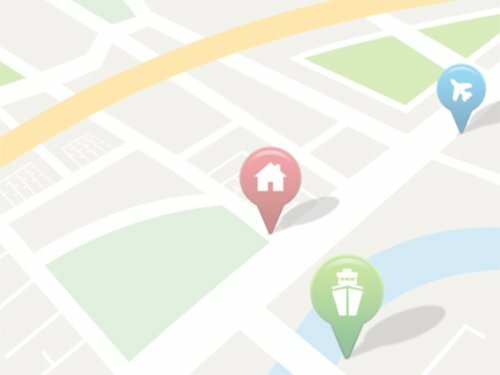 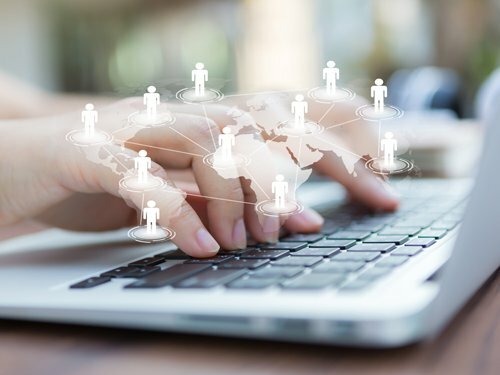 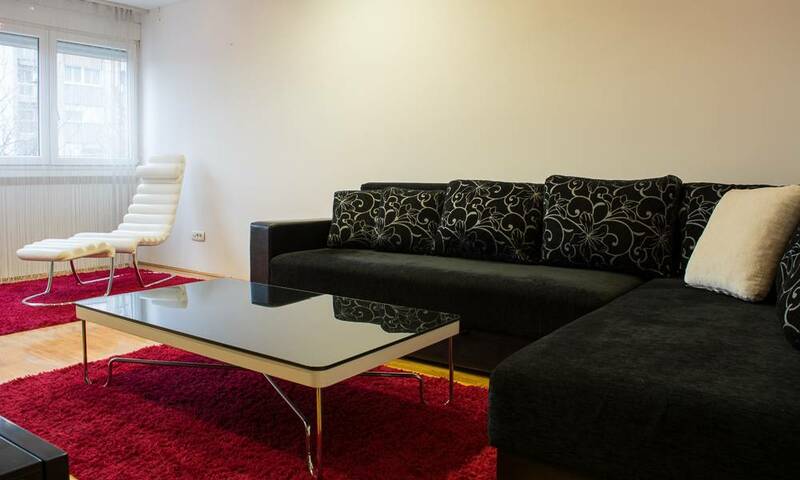 Yu Business Centre is 5 minutes of walking away, the new Mercator shopping centre is 7 minutes away, and the Institute for Mother and Child is also near. 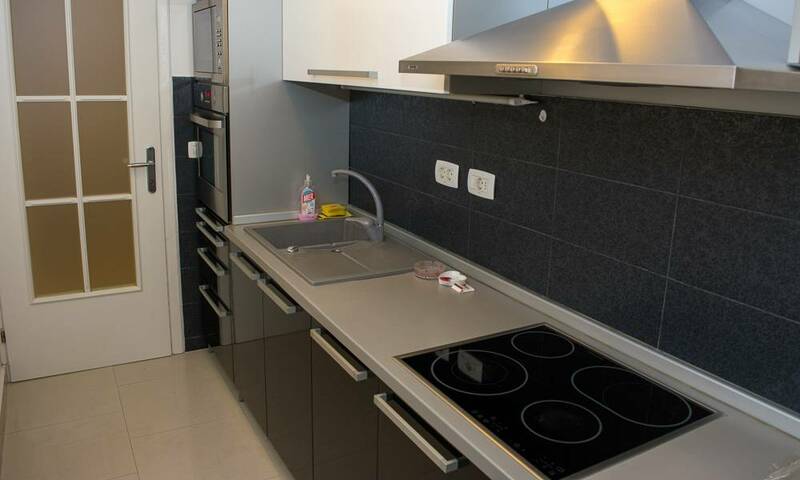 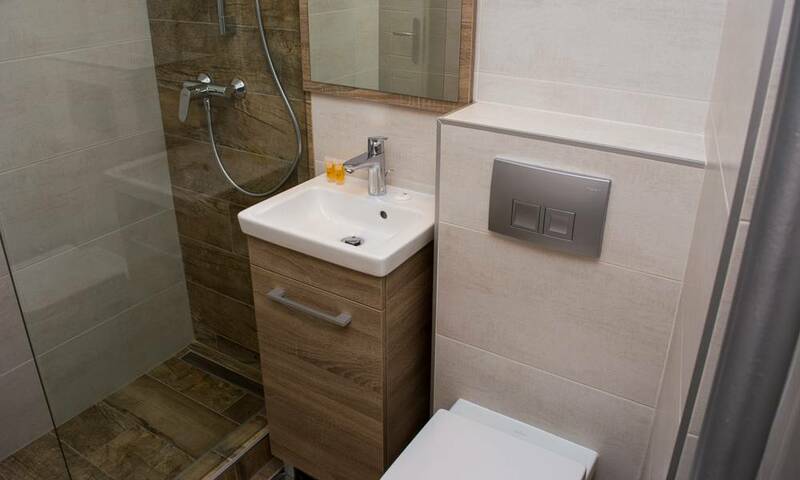 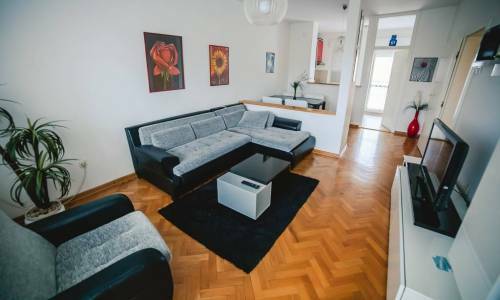 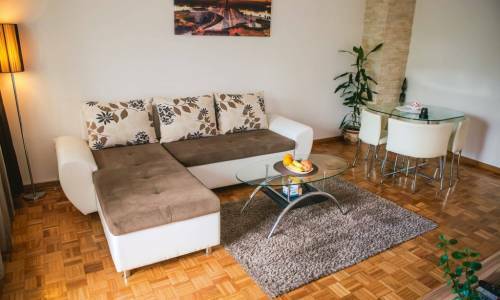 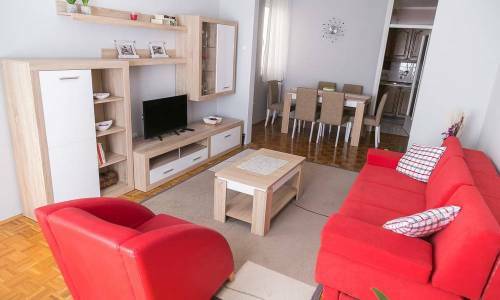 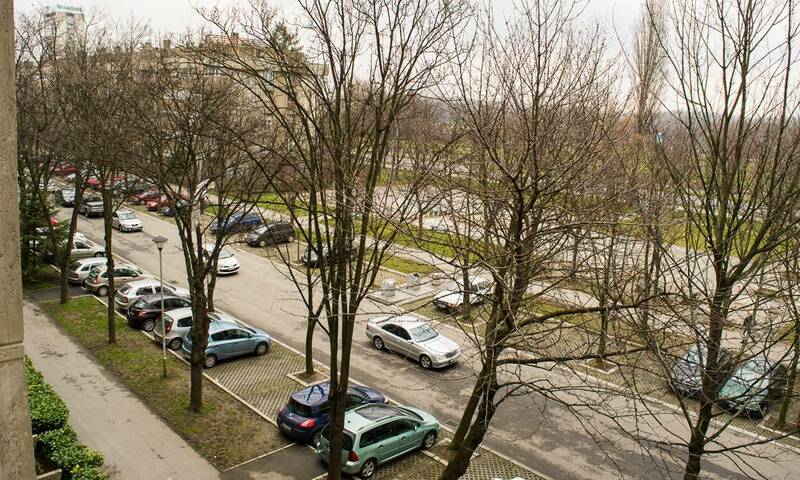 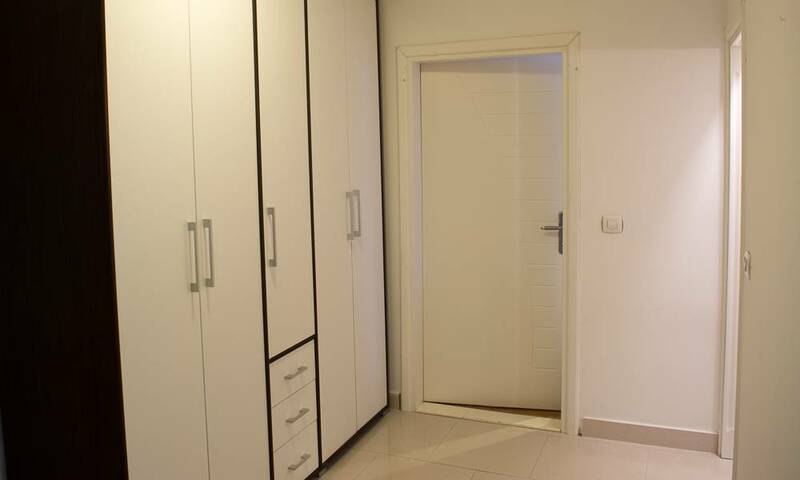 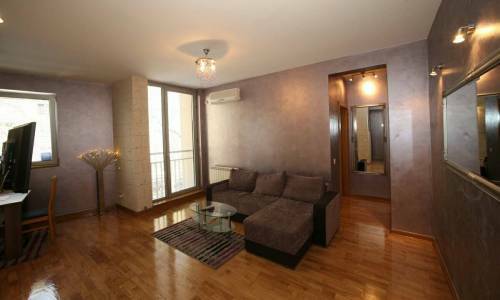 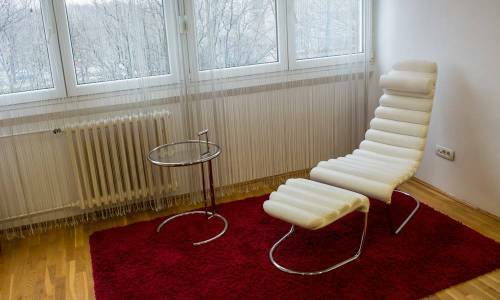 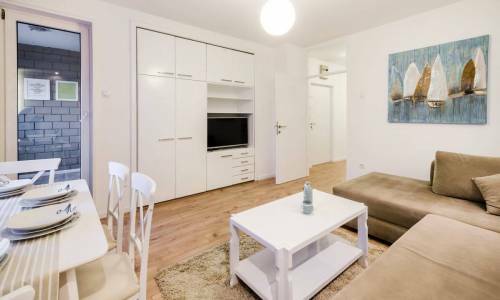 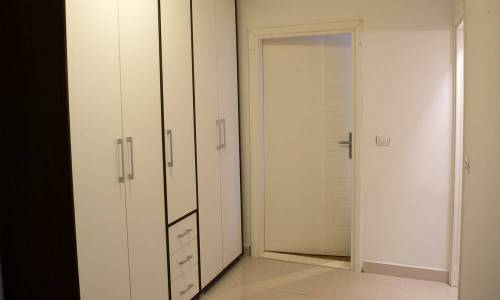 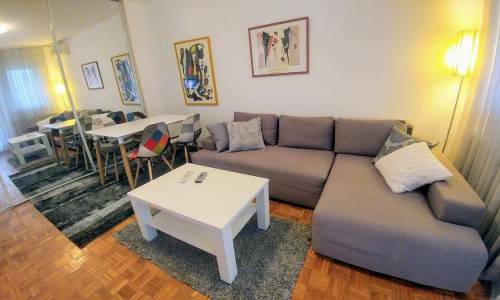 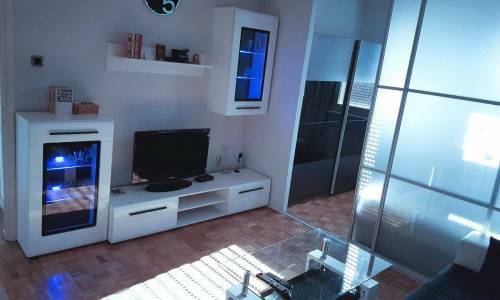 This is a great apartment for all those who do their work in Zemun, as Zemun is very easily and quickly reachable by some of numerous city buses or by car. 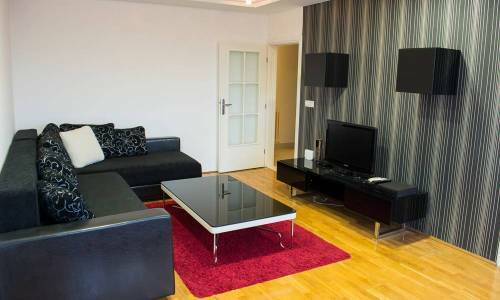 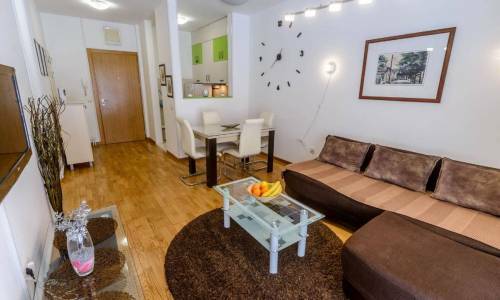 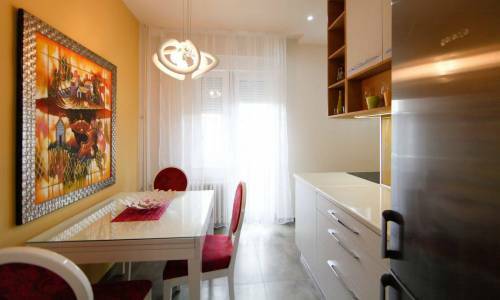 Apartment Diner is categorised as one of the very comfortable apartments. 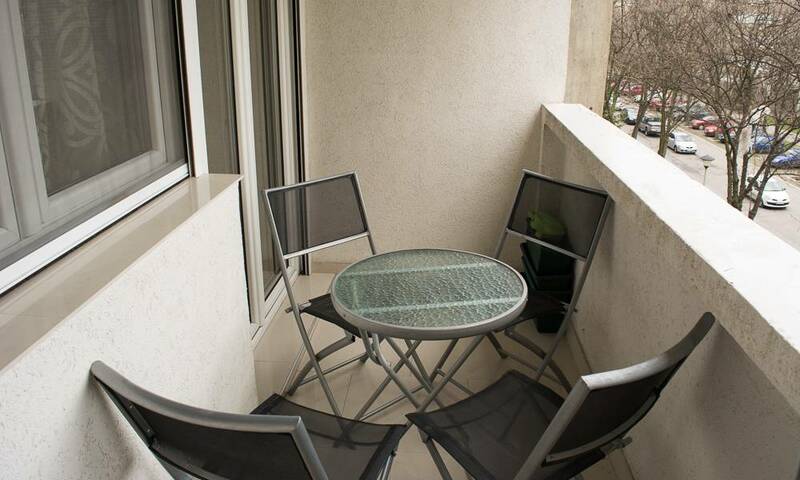 The overall area is 70m2 and consists of a living room, bedroom, kitchen, bathroom and terrace. 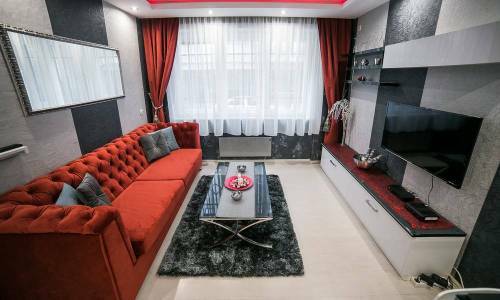 The modern living room is dominated by attractive black and red patterns and offers a sofa which can be folded out into a double bed for 2 persons. 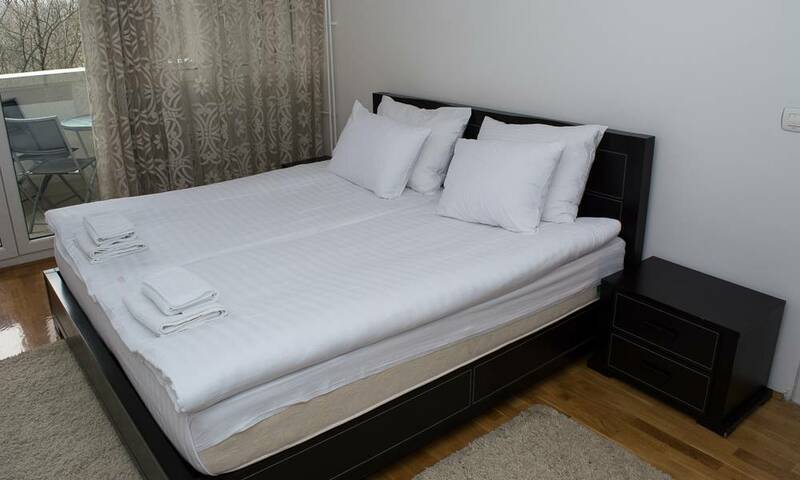 The bedroom is fantastic with a large double bed with an excellent mattress and a spacious wardrobe space. 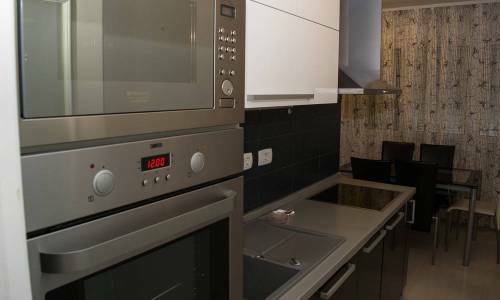 The kitchen has all the up-to-date appliances and provides an access to the terrace which offers a sofa, a table and four chairs. 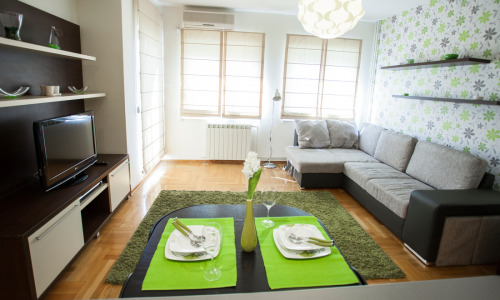 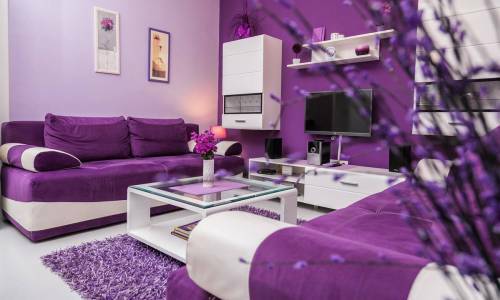 Apartment Diner will provide you with the feeling of comfort and you will have all you need, just like at home. 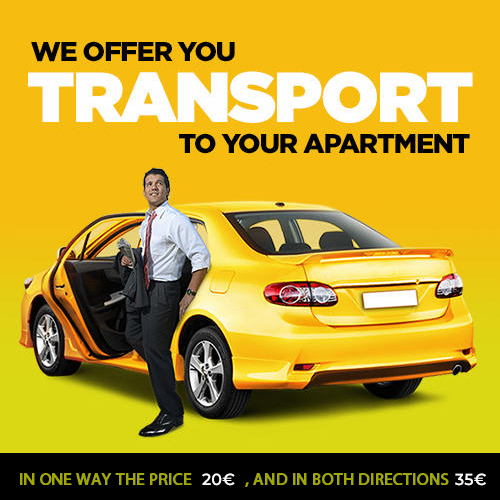 And it won’t come costly. 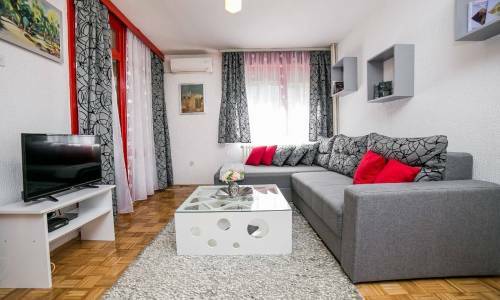 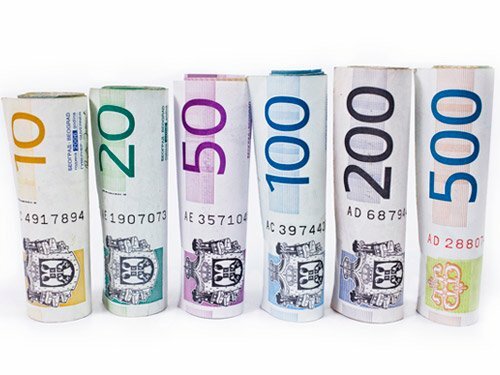 The price of 40 eur/day for such accommodation is more than acceptable. 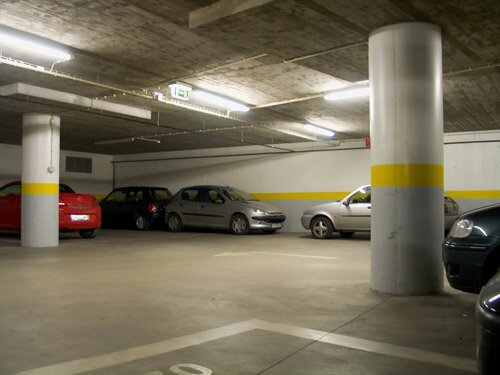 If you’re arriving by car, there’s always a free parking spot in front of the building.